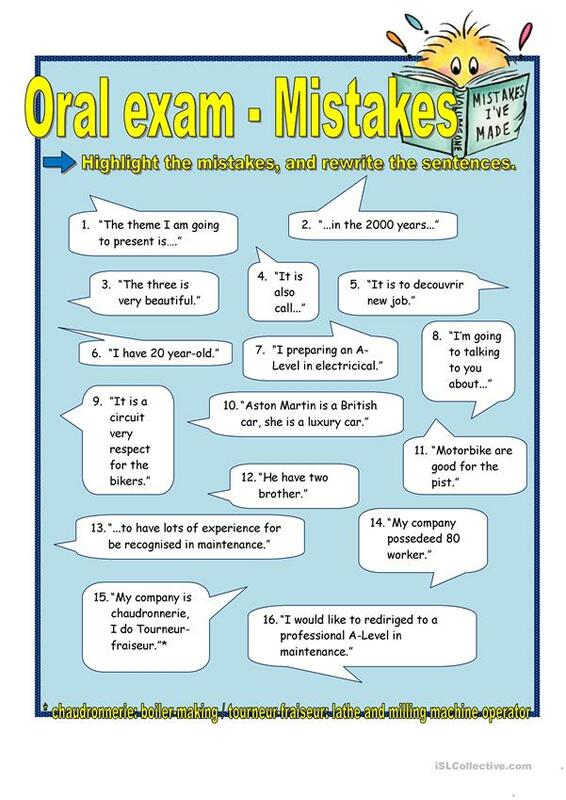 A selection of 16 mistakes I've heard during my oral exam I've done recently with my A-Level / BAC PRO students by apprenticeship. This downloadable worksheet is a great resource for business/professional students, high school students and elementary school students at Intermediate (B1) and Upper-intermediate (B2) level. It is excellent for enhancing your learners' Reading and Writing skills.